These conditions may be related to a poor fit between the three bones that make up the elbow joint. 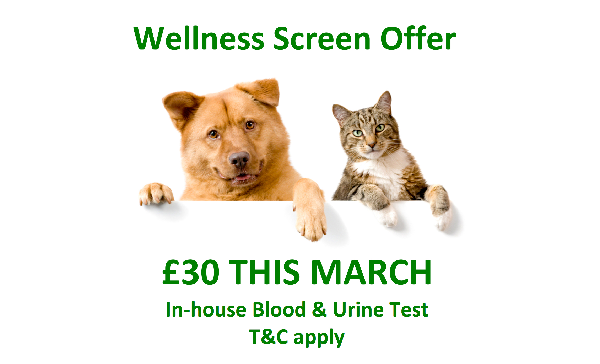 This poor fit or ‘incongruity’ can be seen on X-rays or by CT or MRI examination. In some patients, it may be difficult to identify because it is only present when the dog does certain activities, and sometimes this poor fit may have been present briefly during the dog’s development and is no longer present when investigations are performed. Elbow Dysplasia is a multifactorial disease which means that a number of factors influence its occurrence. Genetics plays an important role although the precise genetic basis of Elbow Dysplasia remains undetermined. Other factors that are thought to influence the disease include growth rate, diet, and level of activity. Clinical examination may determine that the elbow joint is painful or swollen, although initially, the lameness may be difficult to localise to a particular joint. Confirmation of the diagnosis of Elbow Dysplasia is made by performing further investigations which would typically be X-rays or CT examination. X rays will often be able to determine whether your dog has elbow dysplasia either by identifying the primary problem or the osteoarthritis that occurs as a result. 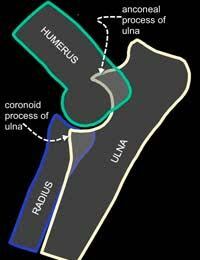 Three bones (humerus, radius, and ulna) combine to form the elbow joint and these overlap on radiographs. This makes identification of the primary lesion problematic in some cases. Elbow radiographs and CT/MRI scans are important tests for detecting elbow dysplasia in dogs. CT/MRI examination is an excellent method of looking at the detailed structure of the joint and determining the precise nature of Elbow Dysplasia. It provides additional information to radiography and this can be useful when planning surgical treatments, especially in more complex cases. 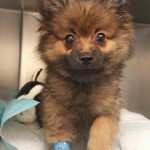 Our pet of the month this March is a delightful and photogenic Pomeranian puppy called Prince. Prince had to have his right foot X-rayed after he jumped off a bed and landed awkwardly. 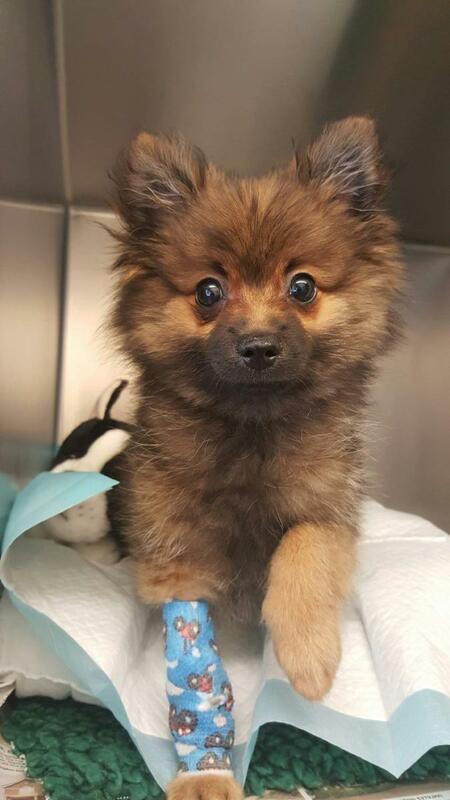 Unfortunately, in the process he fractured all the toes of his right paw and was unable to bear weight on it. Following surgery to stabilise the fractures using small metal pins we are really pleased to report Prince is making good progress and hopefully will be back to normal very soon.